48" Square x 98" long with 5 leaves. 28 1/2" high. 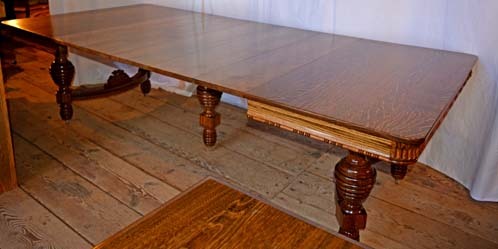 Here is a gorgeous Square Oak Table with 5 Quarter Sawn Leaves. 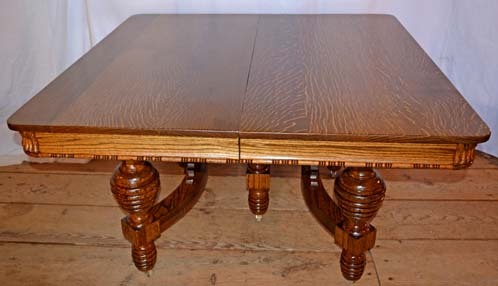 This is a wonderful square oak table with some great versatility. It can go from 48" square to 98" with every leaf inserted. It can be used with some or all the leaves, and it is solid quarter sawn (tiger grain). 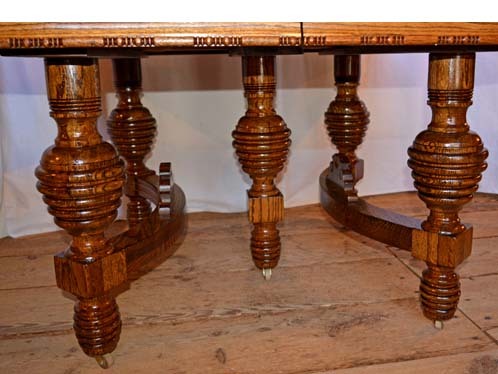 The base is also beautiful and has stretcher style bulbous legs with a matching center leg to support the leaves. 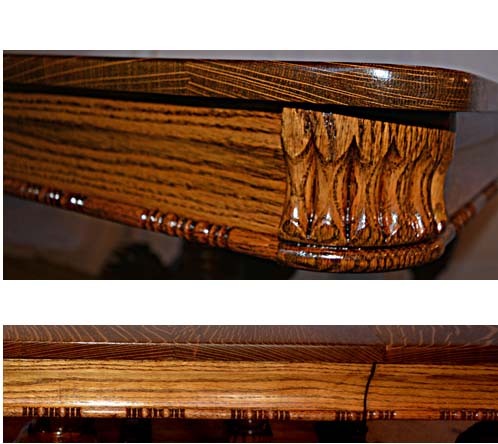 The skirting on the table top is also ornamental, and this adds to the uniqueness of the unit. This table has been restored by our professionals and comes with the BARN ON 26 lifetime guarantee on the workmanship and the finish.